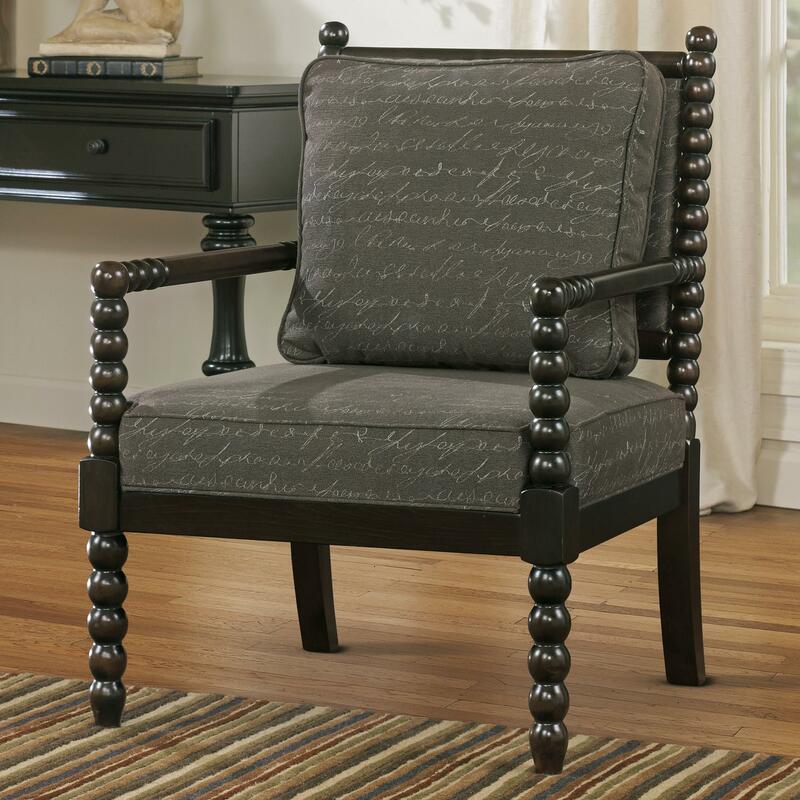 Exposed wood spool turned front legs, arms, and back frame detail add classic style to this accent chair. Decked out in a script fabric, its transitional style pairs a fun fabric with a traditional silhouette. The comfortable seat and back cushion will keep you cozy. The Milari Accent Chair in Script Fabric with Spool Turned Legs and Arms by Signature Design by Ashley at Michael's Furniture Warehouse in the San Fernando & Los Angeles area. Product availability may vary. Contact us for the most current availability on this product. Leg or Skirt Exposed Wood Front Legs with Spool Turned Detail. All hardwood frame constuction. Treated fasteners “Nylok” and grooved apron joints promote strength and durability. The Milari collection is a great option if you are looking for Transitional furniture in the San Fernando & Los Angeles area.